Hattori Hanzo samurai sword with hand forged carbon steel blade. Full tang construction. 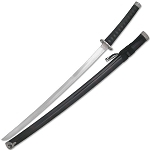 Rurouni Kenshin Himura's Reverse Blade Katana with Black Handle. 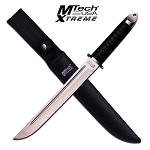 The overall length of this katana is 39". Functional Samurai Sword " Sword of Morpheus " Matrix Movie. 45" overall, 13" handle, 29" blade. 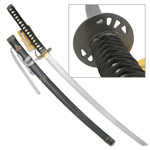 Hattori Hanzo replica of Bills Samurai Sword 41 1/2" overall in length. 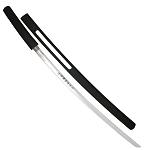 Sharp Import comes up with a collection of most elegant swords. 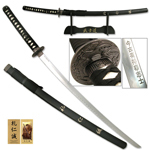 Our Samurai Sword are now available to be purchased on cheapest prices. How impressed are you with Samurais and their swords?  One of the most powerful sword, a Samurai sword is typically known as a katana sword. Samurais considered it as their primary weapon which assisted them in knocking down their enemies pretty easily during wars. A Samurai operating a katana would have been the best swordplay ever. 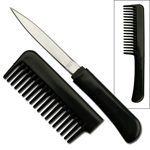 With high quality blades, these swords expressed nobility. So, would you love to replicate a Samurai warrior using a katana sword? Sharp Import has a vast assortment of mind blowing Samurai swords or katana swords. 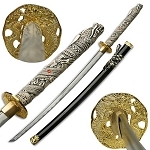 We stock almost every design of katana sword ever held by the Samurais. 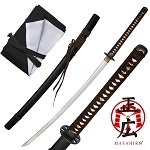 Some of our top Samurai swords include the very impressive Shirasaya sword, the Sword of Morpheus, the Mikazuki Munechika, the Samurai Warrior Tanto sword, serpent cursed katana, Dragon Sakura sword, Rurouni Kenshin sword, and hundreds of more designs of Samurai Sword. 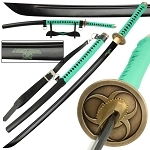 At Sharp Import, we stock the most accurate replica swords of the real samurai swords. 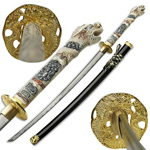 The realism of these swords will make you feel them as the real katana swords while holding them in your hands. Let’s get to our compilation of the Samurai swords and buy the ones you have been dreaming of carrying. There are a few factors that have led us to the top of the market, and the most important among them is our stack of Samurai swords. 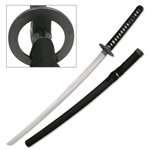 We are the leading wholesalers when it comes to Samurai Katana swords. 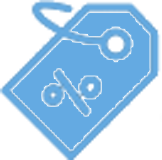 Another significant factor is our lowest rates. 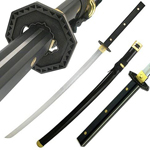 We guarantee cheapest prices of our Samurai swords. 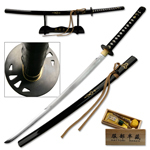 You can buy a samurai sword for less than 90% of the retail price of that sword. Isn’t it amazing? 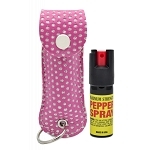 So, avail this lowest price from Sharp Import. 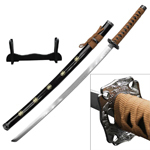 Buy cheap price Samurai swords from the best wholesalers in the USA. 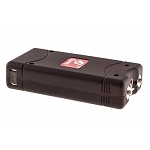 We offer quickest shipping services. Looking for more historical swords and weapons? 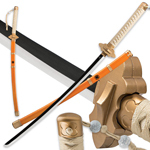 Check our accumulation of Ninja Swords and Ninja weapons to find out more historically popular swords and weapons.